I n the past six weeks we saw the publication of three methods papers by BU academics. BU’s Joanne Mayoh and her colleague Anthony J. Onwuegbuzie in the USA published a paper on mixed-methods approaches in phenomenology.1 They argue that phenomenological research methods work extremely well as a component of mixed-methods research approaches. The purpose of this article is twofold, they provide: (1) a philosophical justification for using what they label mixed-methods phenomenological research (MMPR); and (2) examples of MMPR in practice to underline a number of potential models for MMPR that can practically be used in future research. In the Faculty of Health & Social Sciences Catherine Angell and Jane Hunt with Professor Emerita Jo Alexander offer methodological insights into the ‘draw and write’ research method. 2 Their literature review identified that the method has been used inconsistently and found that there are issues for researchers in relation to interpretation of creative work and analysis of data. As a result of this, an improvement on this method, entitled ‘draw, write and tell’, was developed in an attempt to provide a more child-orientated and consistent approach to data collection, interpretation and analysis. This article identifies the issues relating to ‘draw and write’ and describes the development and application of ‘draw, write and tell’ as a case study, noting its limitations and benefits. Mayoh, J., Onwuegbuzie, A.J. (2015) Toward a Conceptualization of Mixed Methods Phenomenological Research, Journal of Mixed Methods Research 9(1): 91-107. Angell, C., Alexander, J., Hunt, J.A. (2015) ‘Draw, write and tell’: A literature review and methodological development on the ‘draw and write’ research method. Journal of Early Childhood Research, 13(1): 17-28. 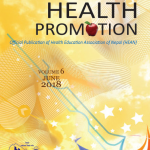 MacKenzie Bryers, H., van Teijlingen, E. Pitchforth, E. (2014) Advocating mixed-methods approaches in health research, Nepal Journal of Epidemiology 4(5): 417-422. Simkhada, P., van Teijlingen, E., Wasti, S.P., Sathian, B. (2014) Mixed-methods approaches in health research in Nepal (editorial) Nepal Journal of Epidemiology 4(5): 415-416.